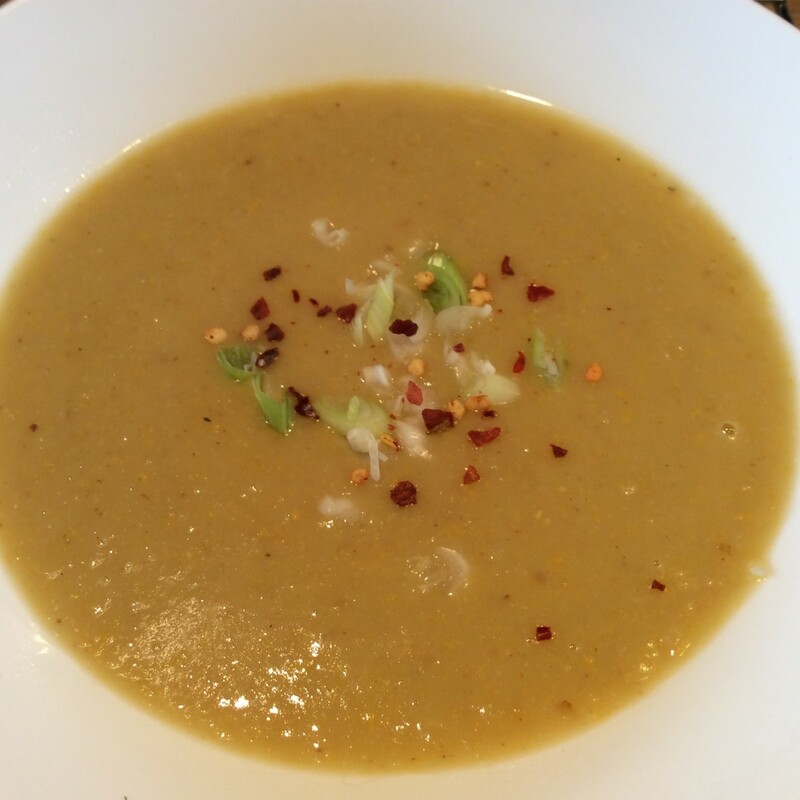 This is a fabulously warming soup for an autumn day. I’ve called it a chowder style soup because a traditional chowder has a creamy base, but I find that a bit too rich. I find the potato gives it a lovely creamy texture and so it doesn’t need the dairy element, but feel free to add milk or cream as you like. It would look lovely served with a swirl of cream on the top if you don’t want to add too much. Strip the kernels from the corn and set aside. Place the cobs, whole spices and stock in a pan and bring to the boil. Simmer for 10 minutes then strain. Reserve the liquid, discard the rest. Heat a glug of oil in a large pan and gently cook the onion. Add the garlic and cook for a further minute. Add the potatoes, corn kernels and stock to the pan along with 1/2 tsp salt. Bring to a boil, then simmer until the potatoes are soft. Blend and season to taste. Add the milk or cream if using. Return to the pan and gently bring back to a simmer. Serve with a sprinkle of chopped spring onion and a few chilli flakes for some heat.